Lincoln Park is an urban park located in the Capitol Hill neighborhood of Washington, D.C. The largest Capitol Hill Park, Pierre L’Enfant included it in his original 1791 plan for the District of Columbia, intending it for public use. L’Enfant planned it to be the point from which all distances in North America would be measured, although it was not ultimately utilized for this purpose. It was known historically as Lincoln Square. The eastern end of the park includes two separate, enclosed play areas for young children. The grassy perimeter and central turf area are popular with neighborhood dogs and their owners. Lincoln Park is maintained by the National Park Service. The park features two important sculptures: Thomas Ball‘s 1876 Freedman’s Memorial to Abraham Lincoln (Emancipation Monument), the first of several memorials in Washington honoringAbraham Lincoln, and Robert Berks‘ 1976 Mary McLeod Bethune Memorial. 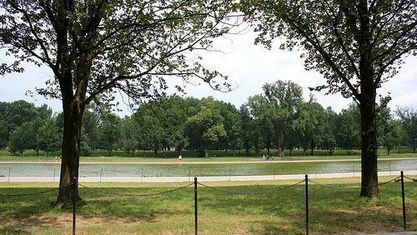 Lincoln Park is situated one mile directly east of the United States Capitol. 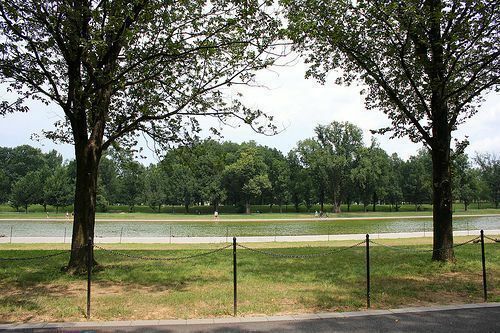 The park is bounded by 11th Street NE and SE on the west, 13th Street NE and SE on the east, East Capitol Street NE on the North, and East Capitol Street SE on the south. It is four blocks northeast of Eastern Market, Washington, D.C.
Lincoln Park was original a place for waste management. During the Civil War, it was the site of Lincoln Hospital and was among the places visited by Walt Whitman, who was visiting injured soldiers. In 1867, Congress authorized the grounds to be called Lincoln Square as a memorial to the former president; it was the first public site to bear his name.